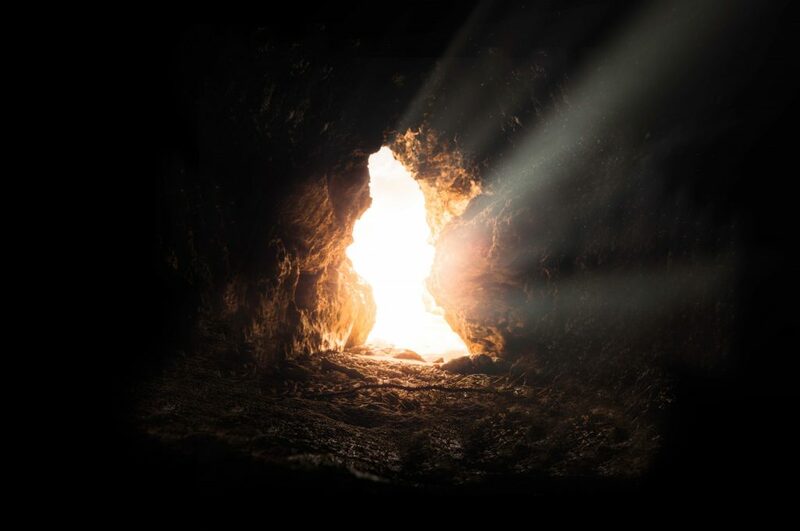 We’ve looked at the eyewitness evidence for the resurrection of Christ, noting that the eyewitnesses pass all 3 standard tests for legal witnesses. Now we turn to the second main type of evidence, the forensic. Forensic evidence is tangible, something you can touch. Is there any evidence like that for the resurrection? I’d suggest that the Scripture offers two, one you’ve probably already thought of, and another one that perhaps you haven’t. The one you’ve thought of, because everybody mentions it, is the tomb itself. The key characteristic of the tomb is simple and obvious. And even more important, it was empty at the time; nobody can say that a century or two later, some Christians came along and removed the skeleton when nobody was looking. Well, a number of Jesus’ close followers arrived on Sunday and confirmed that the body was not there: first Mary Magdalene, Joanna, Salome, and Mary the mother of James, early Sunday morning (Mt 28.1; Mk 16.1; Lk 24.10; Jn 20.1); then Peter and John (Lk 24.12; Jn 20.2ff), as soon as the women told them what they had seen. And to raise the ante, the Roman guards reported to the Jewish leadership that the body was gone (Mt 28.11). There have been a couple of attempts to account for this. One we’ve already mentioned. It was the very first cover story (Mt 28.11-15)—that the disciples stole the body. We’ve noted that the disciples’ credibility argues against the theory. But the story was incredible on its face, since the tomb would typically have been guarded by 16 soldiers in 4 squads of four (cf Ac 12.4), who worked in shifts. How likely was it that all 16 soldiers would have fallen asleep simultaneously? Four of them on watch? When the penalty for doing so was death? And even if they had, how likely was it that the disciples could have rolled the stone away and retrieved the body without waking anybody up? I’m supposed to believe that? And I’m the fideist? Hmm. How shall I say this? If a conservative had posited this, he would immediately be accused of sexism. Women are so emotional, you know. And not good at directions. And they never listen when men talk to them. Another evidence against the story is that the religious leaders at Pentecost, less than two months later, produced no body when Peter announced the resurrection publicly. They certainly would have if a body had been available. But I’ve said that already. The tomb was empty. On Sunday morning. Inexplicably. Next time, we’ll look at the other key piece of forensic evidence. You’re gonna like this one. Playing devil’s advocate here, but by Pentecost, wouldn’t decomposition have made the body unrecognizable? There’s still all the other evidence, but I don’t think the religious leaders could have produced a body that was clearly Jesus a month or two after the fact even if He had stayed dead. Fair question. I think it would have been reasonably recognizable–hair, beard, whatever linen wrappings there were–and repulsive, which would make producing it all the more desirable for the leadership.